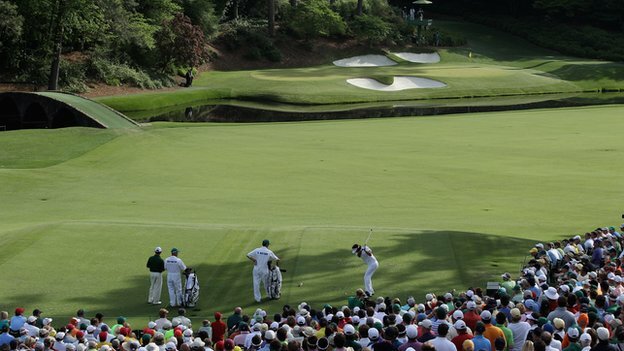 Augusta National - which hosts the Masters - will admit women members for the first time in its 80-year history. The club, situated in Georgia in the United States, has faced criticism for years for not allowing females to join. Former US Secretary of State Condoleezza Rice and South Carolina financier Darla Moore will become the first women in green jackets when the new season starts in October. The announcement comes after activist Martha Burk put pressure on the club to admit women in 2002. However, then chairman Hootie Johnson responded that they would not be forced to change its policies "at the point of a bayonet". Payne replaced Johnson in 2006 but at the time ruled out the possibility of women becoming members in the near future. This is a joyous occasion," Augusta National chairman Billy Payne said. "We enthusiastically welcome Secretary Condoleezza Rice and Darla Moore as members of Augusta National Golf Club. "These accomplished women share our passion for the game of golf and both are well known and respected by our membership." Rice was the national security adviser under former President George W Bush and then became Secretary of State. The 57-year-old is currently a professor of political economy at Stanford's Graduate School of Business. "I am delighted and honoured to be a member of Augusta National Golf Club," she said. "I have visited Augusta National on several occasions and look forward to playing golf, renewing friendships and forming new ones through this very special opportunity."